Padded TufFlex Roading Harness by K-9 Komfort . $47.95. "Excellent! I particularly like the snap closure on the under-belly strap rather than a buckle." "I have been using these for several years now and love them." I have been using these for several years now and love them. They are great on the dogs. The hose off great, and are sturdy. 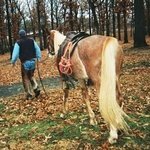 "Best harness I have ever purchased." Best harness I have ever purchased. My dog seems very comfortable with the harness. These seem great so far. I started using them to condition my small munsterlanders for ruffed grouse and woodcock season. Took them a couple of tries to figure out that I wanted them to pull. Now they have the hang of it and their back legs are stronger as a result. These really do the trick if you are looking for something comfortable for your dog to condition them with, Thanks. As others have mentioned the clip on the belly strap is a great feature making it very easy to put on. The harness is well made and fits my dog well, it has been used every day for five months and still looks like new. In less than 20 words GREAT!!!! I rode her with my quad. A little big, but nothing I can't fix with a hole punch. Well built and fits dog great. Will be using this a lot in the off season. Great harness. The strap under the belly was a little long even on the shortest setting, but I just punched another hole and tightened it to fit right. Well made. Setters and Lab. Hunts. Family pet. Teamed harness with Walky Dog setup like another reviewer did and it works very well. Good fit and quality construction. Like the Orange color. Fabulous product! Nonabsorbent, very strong, good quality materials, and very easy to use. My dog is about 54 lbs, and this fits well. I connected to a Walky Dog bicycle leash, and it works wonderfully. I highly recommend it. "My dog loves this harness." My dog loves this harness. It is well built and sure to last me several seasons. "they seem to hold up to the elements well"
Fits small to large dogs, and they seem to hold up to the elements well. Mine get used 2-3 times a week. Great product and great service. 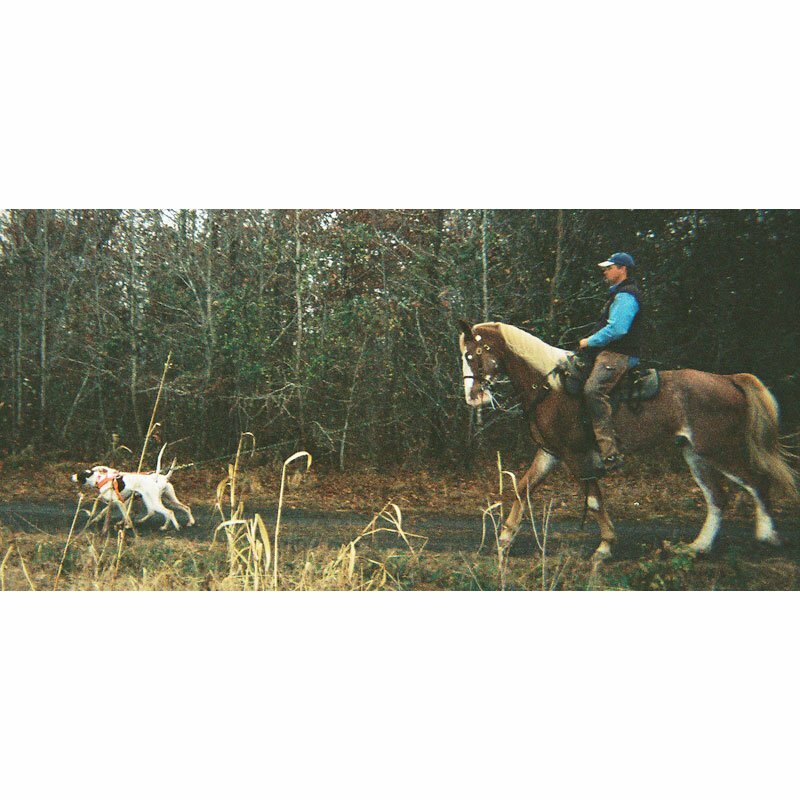 Roading dogs to get them ready for the hunt, and the harnesses are great. Gun Dog Supply always does a great job! "My trainer actually recommended this brand to me"
A little too big even at the smallest hole setting for my average sized short hair. Looks like it is made of good quality. My trainer actually recommended this brand to me, as this is the one he uses for his daily conditioning workouts. "Good quality and easy to adjust." Good quality and easy to adjust. "this harness is excellent in combination with a bike mount to get her into shape"
After getting a stress fracture in my tibia and not being able to run my new gawp, this harness is excellent in combination with a bike mount to get her into shape and not re-injure my leg. "Hands down, this is the best harness." Hands down, this is the best harness. I'll keep buying more as my dog count increases. "The material looks very durable"
Fits our dog perfectly. The material looks very durable, and it works great. Thanks so much! Easy with the clip instead of a buckle. Easy to adjust fit. "Well done. Great quality. I really like the adjustable strap that goes under the dog's belly." Well done. Great quality. I really like the adjustable strap that goes under the dog's belly. "Great item, haven't had any problems." Great item, haven't had any problems. "Fantastic harness for such a great price." Fantastic harness for such a great price. The ONLY change I would make is to create a clip for the front buckles. Sticking my pup's head through the loop every time is an easily avoidable inconvenience. "A lot heavier than expected, very strong and weather durable." A lot heavier than expected, very strong and weather durable. However it was not strong vs their teeth. The under the chest clip strap is very nice, excessively long but nice. 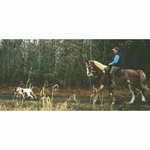 Designed for exercising your dog by increasing wind, stamina and building muscle. 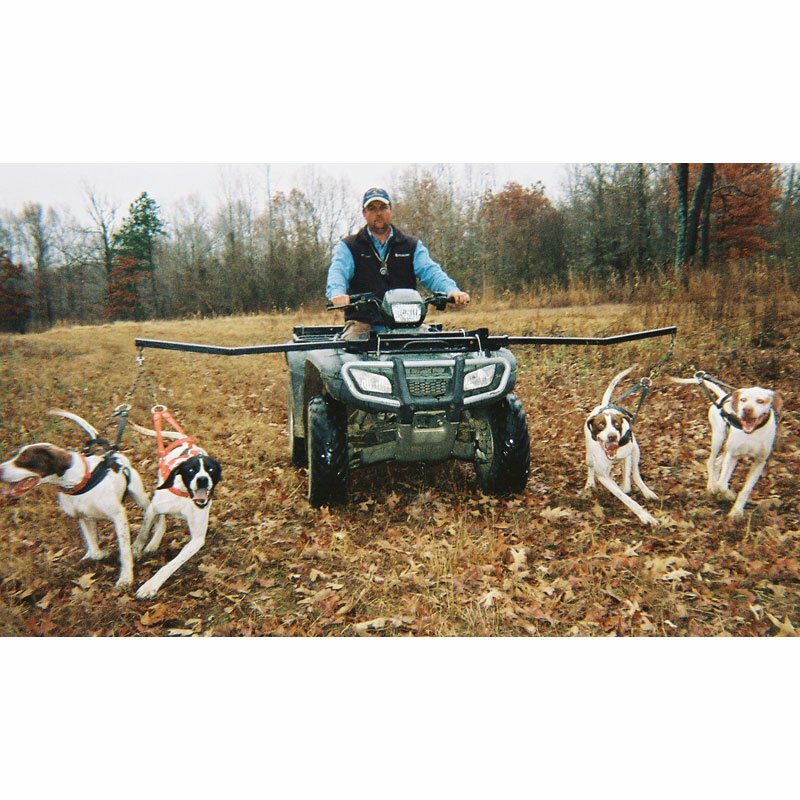 Roading harnesses are designed for exercising your dog by increasing wind, stamina and building muscle for a more successful and enjoyable hunting and trialing season. 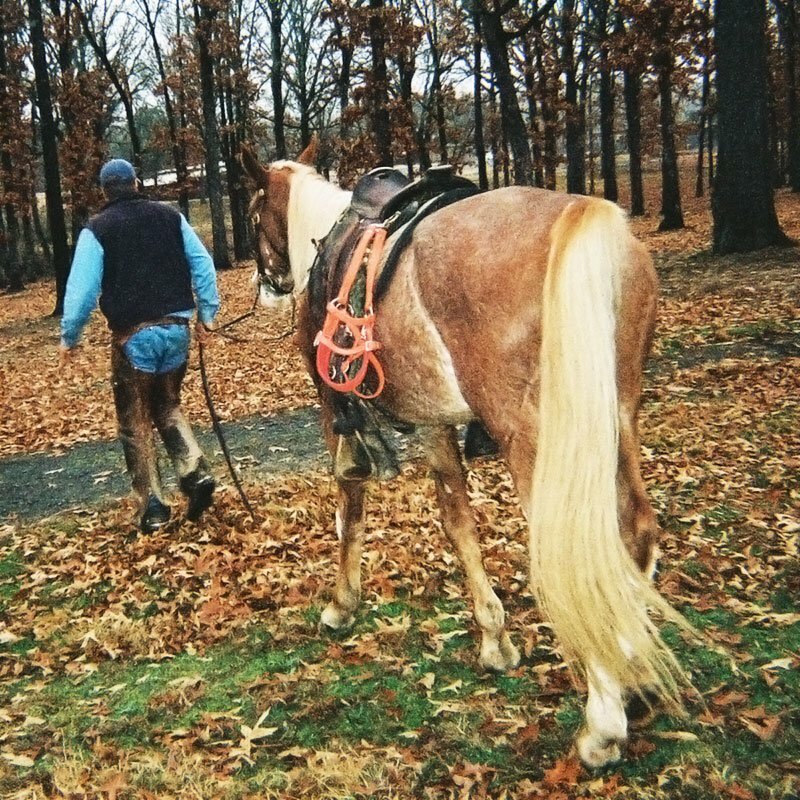 Roading harnesses are most commonly used with a 4-wheeler but can also be used with a bicycle or a horse. After putting the harness on your dog, slowly walk him down the road. All of the pressure moves to his chest and takes the strain off of his neck. The front of this harness is padded for your dog's comfort and features a quick-release on the side. 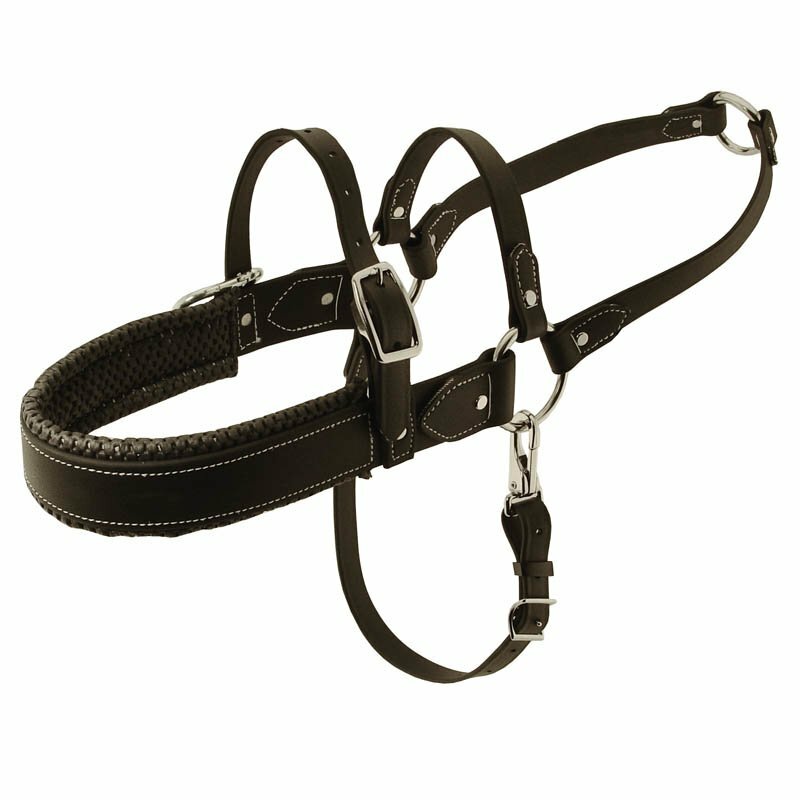 This harness is made from TufFlex, which is virtually indestructible, and maintenance free. TufFlex cleans up with a damp sponge, resists mildew and bacteria and therefore is odor-resistant. The vinyl-coated webbing also keeps its flexibility in cold weather. Rust resistant chrome-plated hardware. Welded hardware. Average 8 lock stitches per inch. All K-9 Komfort products are proudly made in the USA. 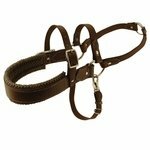 Floating clip on top strap can be attached to a Center Ring Collar for added security. Adjustable to fit most dogs weighing 40-70 lbs. Available in Orange, Brown, and Black.